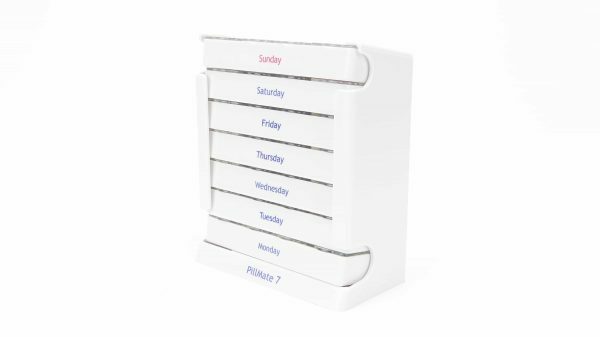 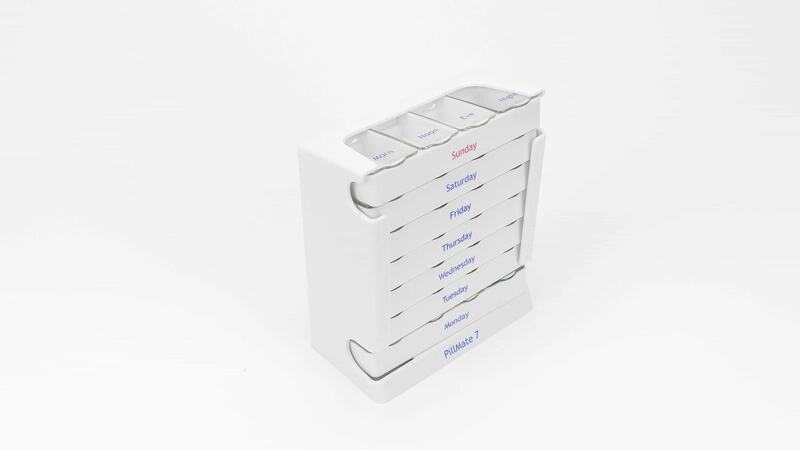 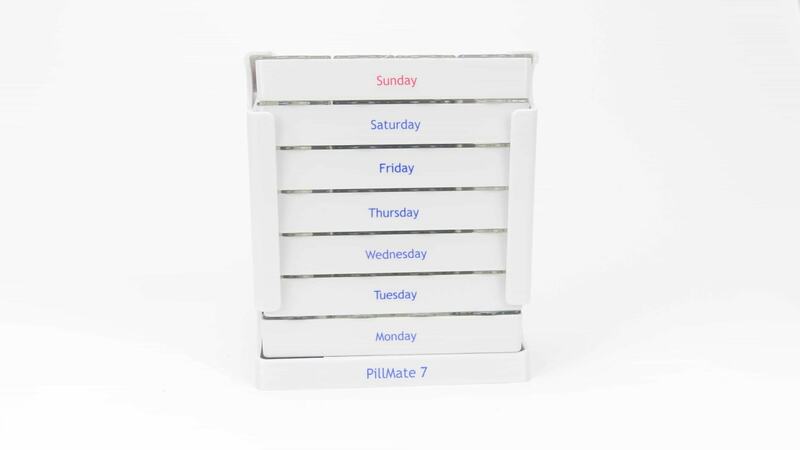 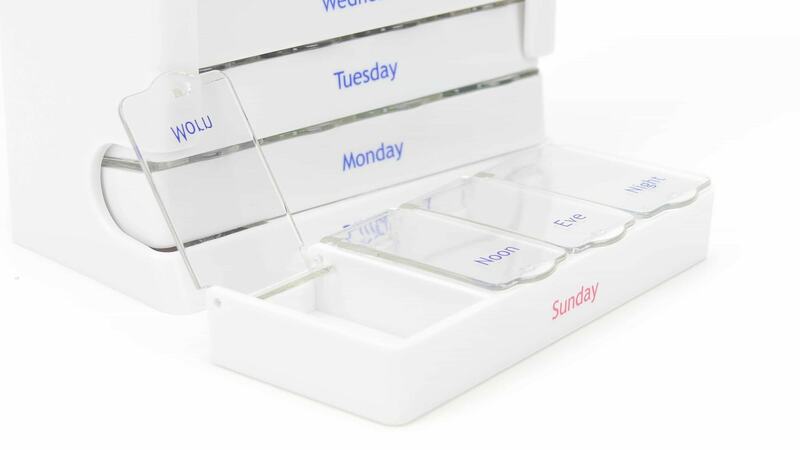 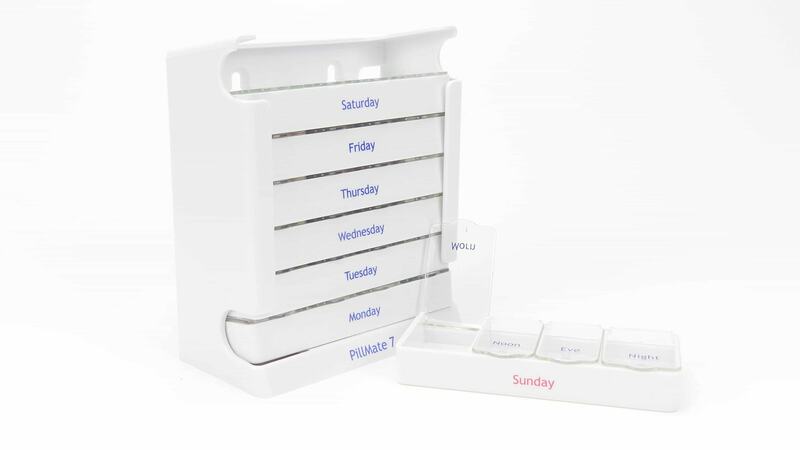 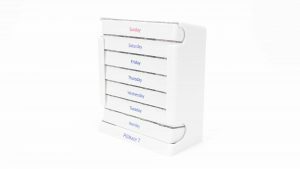 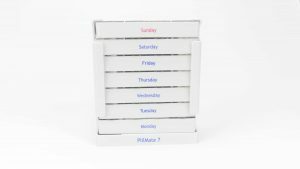 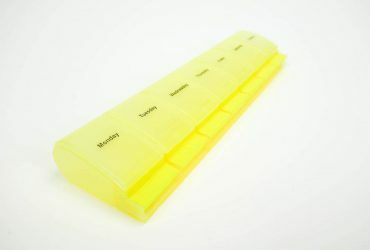 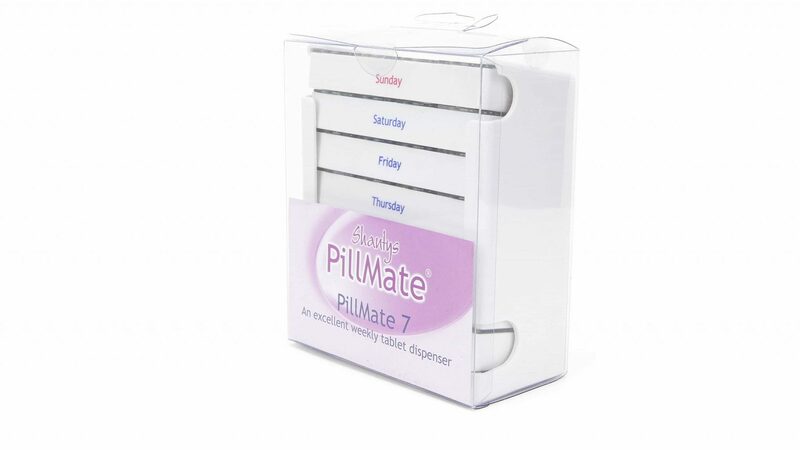 Our PillMate Seven pill box is a seven day a week pill dispenser capable of covering morning, noon, evening and night. 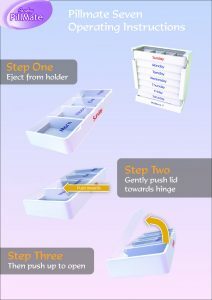 The single day pull out units have 4 individual compartments for ‘Morning, Noon, Evening and Night’ doses. The 7 individual units are marked with each day of the week. 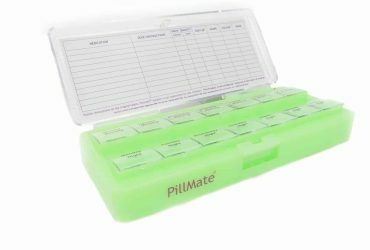 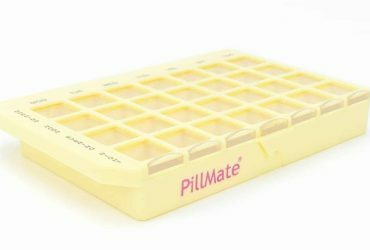 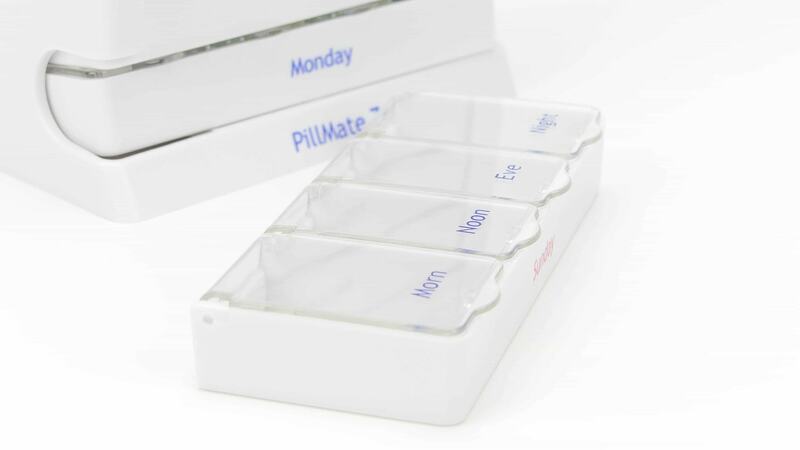 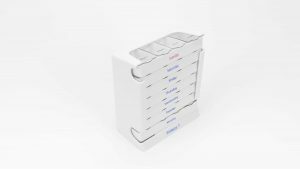 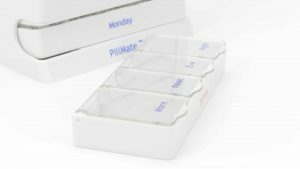 The PillMate Seven pill box dispenser is ideal to prepare a full weeks worth of dosage. 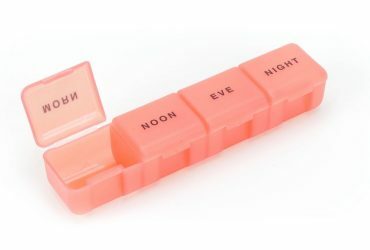 Each day can have 4 separate dosages including ‘Morning, Noon, Evening and Night’ perfect for complex plans. 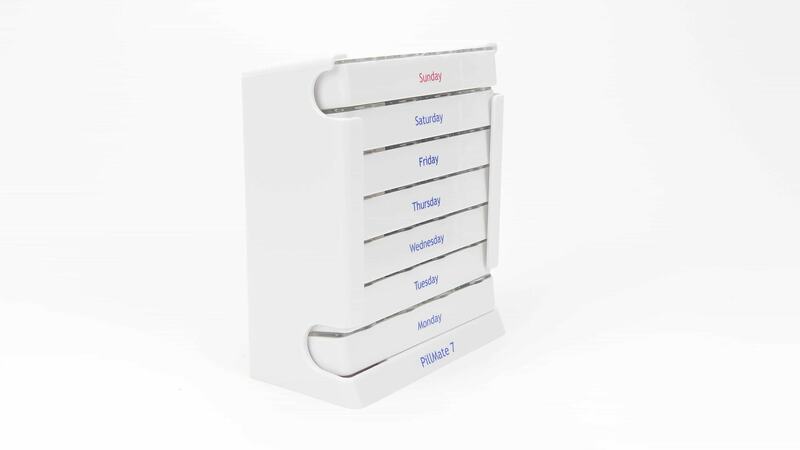 Easily slide out the individual day units and carry with you on days out. 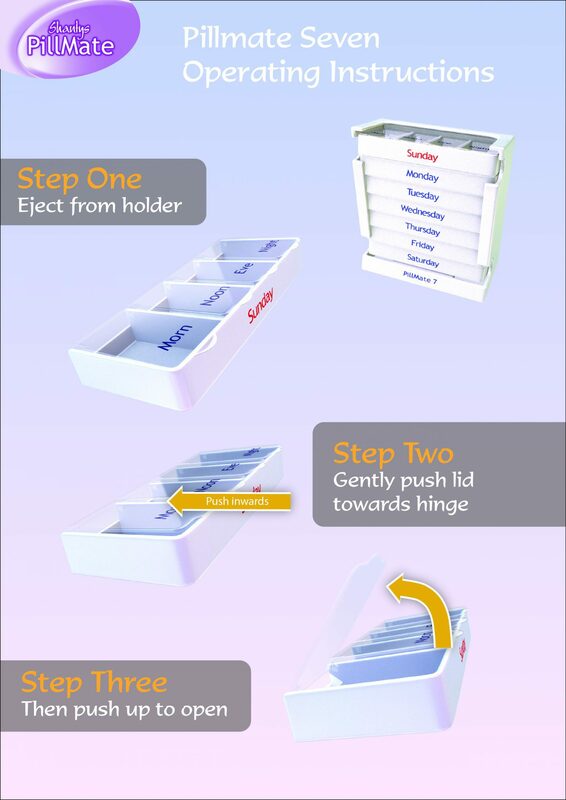 Gently push the lid in and up to release the medication.